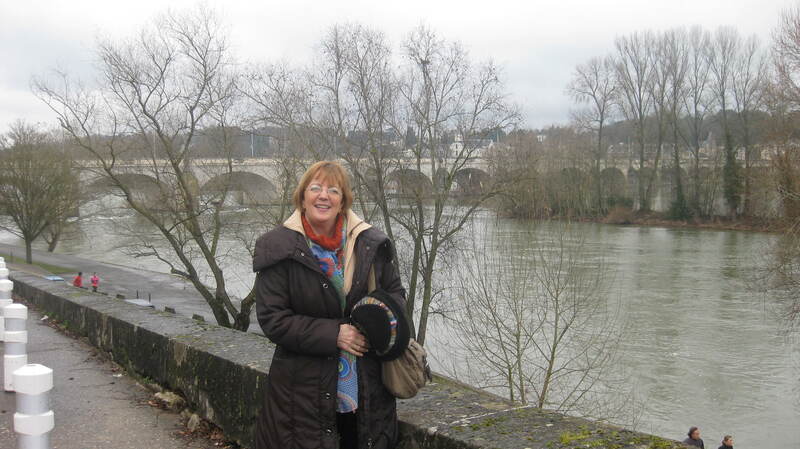 Nuala wanted to visit more Shrines in France, Nevers Cathedral and the remains of St Bernadette and also visit Lisieux and the Shrine of St Therese. I, on the other hand, wanted to visit the War Memorial de Caen which I understand is the best WW2 museum in France. 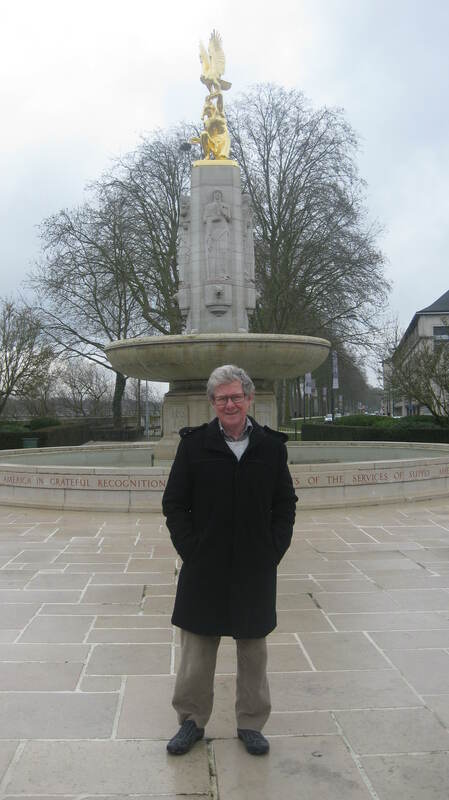 So the compromise was the two shrines on the way to Caen, then the museum and then onto the boat for Portsmouth. But things did not work out that way. On Saturday morning, we started to clear the final items off the boat and load them into the car. Nuala was so anxious she got up at 6 am. Despite our best efforts, we did not finish loading the car until 12 noon (two hours later than scheduled) and then only after putting some items that would not fit into the car, into the bin. 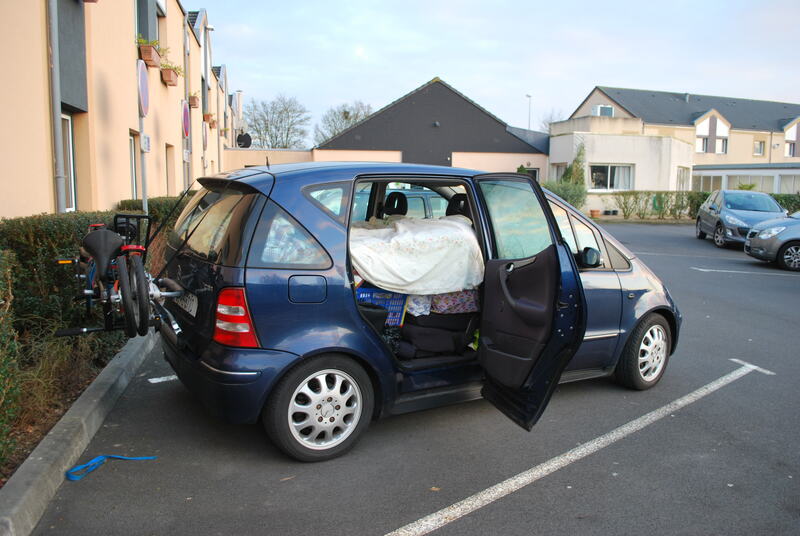 We headed off for Nevers, but as the car was loaded to the roof , I did not want to push it too hard. When we realised we would not get to Nevers until after 5 pm, Nuala reluctantly agreed we should by pass Nevers and head straight to our hotel, The Inter Hotel au Relais St Eloi in Tours. The hotel was good value for money and we had Valentine’s Dinner there that night. Sunday morning after a quick look at the old centre of Tours, I put the next destination address in the Sat Nav and off we headed. After about an hour and 100km, I said to Nuala that we needed to check the Sat Nav as I was not happy that we were heading in the right direction. Nuala had a look and said “why is it set up to go to Nevers, we are going to Lisieux?”. I had put the previous day destination into the Sat Nav by mistake and we had gone 100km back in the direction we had come from! What should have been a two hour journey had now turned into a five hour journey. Silence in the car! We turned around and after stopping for a quick sandwich and diesel, finally headed for Lisieux. Sat Nav now said it would be 5:30pm before we would get there. Repeat of yesterday! In an effort to make up for my mistake I put the boot down and drove at 130 km hour, motorway all the way. The poor old 12 year old Merc was totally over loaded. Four hours later and one hour from Lisieux, suddenly there is a weird noise from the car engine. I pulled into the rescue area and turned off the engine. I could not find out why the engine was making a weird flapping noise (it was not the fan belt). I turned on the engine again and the car restarted. Nuala agreed that we had no choice but to skip Lisieux and limp directly to Caen, a shorter distance. We make it to the hotel, in Caen and I think the car will get the last 15km today to the port and ferry tonight. As the War museum is within walking distance of the hotel, I will get to visit the museum today! Poor Nuala not a shrine in sight! This entry was posted in Places visited, world war two and tagged Caen, Lisieux, Nevers Cathedral, St Bernadette, The Inter Hotel au Relais St Eloi in Tours, War Memorial de Caen. Bookmark the permalink. hi, that is a great little car, a bit fishy though Adrian how you got to the museum and Nuala missed the Shrines?.